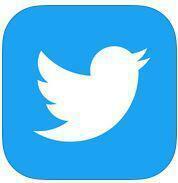 Welcome to our Twitter Feed, hope you enjoy keeping up with our Class! Today was our Rockpooling trip to Hartlepool Headland and we had a fantastic day. Despite the less than desirable weather, we made the most of it and had a great time. It was drizzly and misty all day but we still found lots of interesting creatures and enjoyed learning about rockpool habitats. First we got ourselves ready to go and piled onto the bus! We drove to the headland singing songs all the way. When we got to the beach we listened to Andrew from West View project talk about what we were going to do that day. Our morning task was a sandcastle building competition. Luckily Andrew showed us the best way! We had to pack the buckets full of sand and pat them down before turning them over slowly. Each group made lots of smaller sandcastles to make a fortress and then we dug a moat around the sides which we poured water into later on. Then we all sat in a boat that Tom had made for us out of sand. That was such good fun. After lunch we went rockpooling! We found a huge velvet crab, some tiny hermit crabs and lots of sea snails! It was really slippy so we had to be careful. Finally we came back to school, we were all exhausted, sandy and a little damp but we had such a fun day! WOW - what a week. We are glad to be back after the holidays but have had so much crammed in. 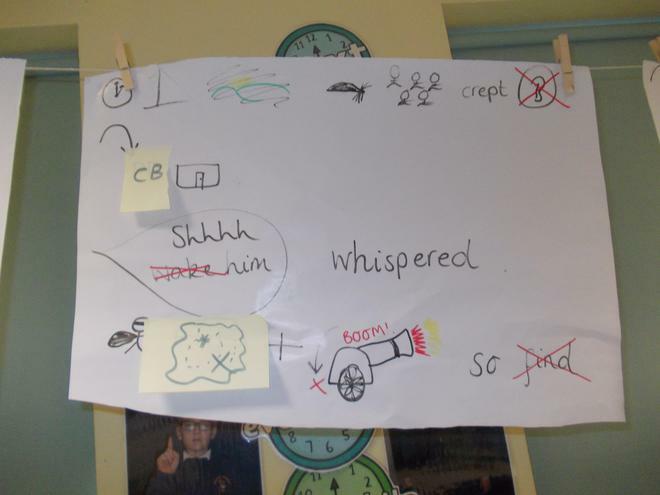 This week we have written our very own jungle stories about a Gorilla stealing food from his 'animal army' and have been learning to use some fantastic interesting language like 'roared' 'screamed' or 'terrifying'. 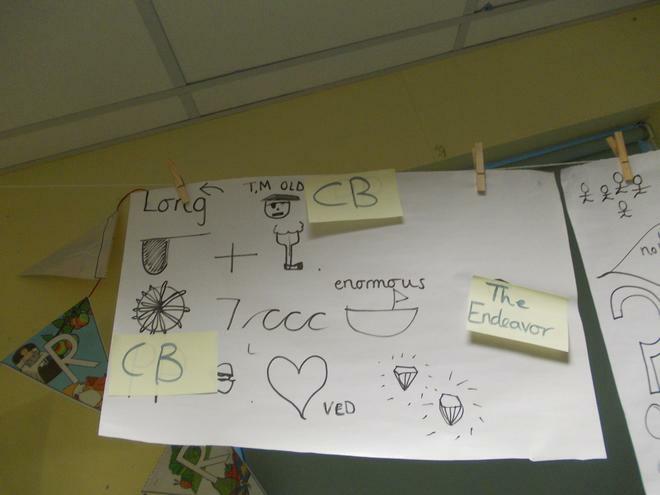 The children have all really enjoyed playing word association games to come up with new and exciting vocabulary to describe the characters and settings in their stories. 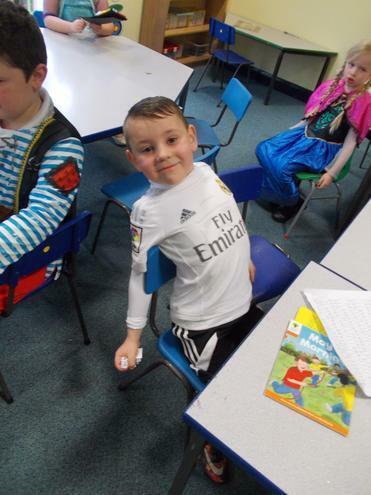 We have also had world book day! We dressed like all manner of characters. 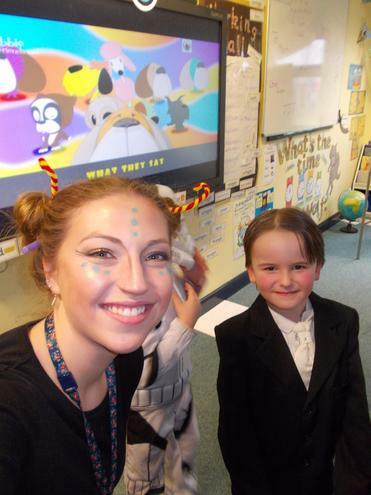 Some of the teachers in Key Stage 1 came as aliens who love underpants! Aaron won our best dressed award for dressing up as Bugsy Malone! 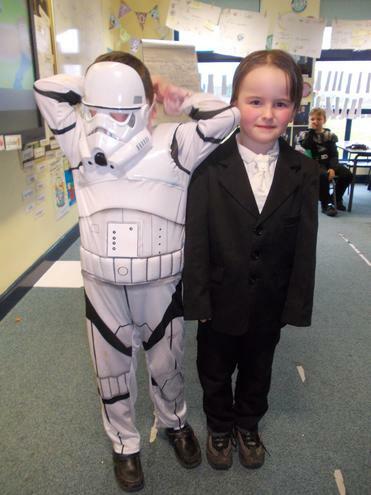 Charlie was our star of the day (dressed as a storm trooper) because he tried so hard with his literacy work. This week's handwriting pencil will be given out on Monday along with the other awards that are usually presented on Friday. Our world book day assembly was packed with too many fancy dress awards to fit everything else in ! Another busy week in class 11! This week in English we have been learning to retell our very own story about Pirate Pete with lots of actions and exciting new vocabulary! 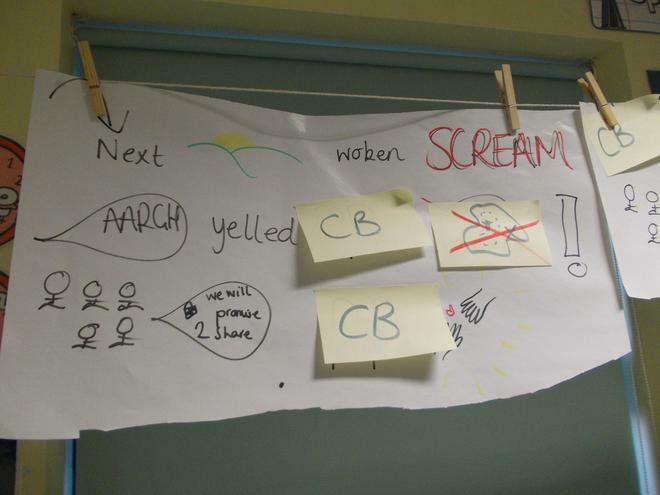 Have a look at our story map! 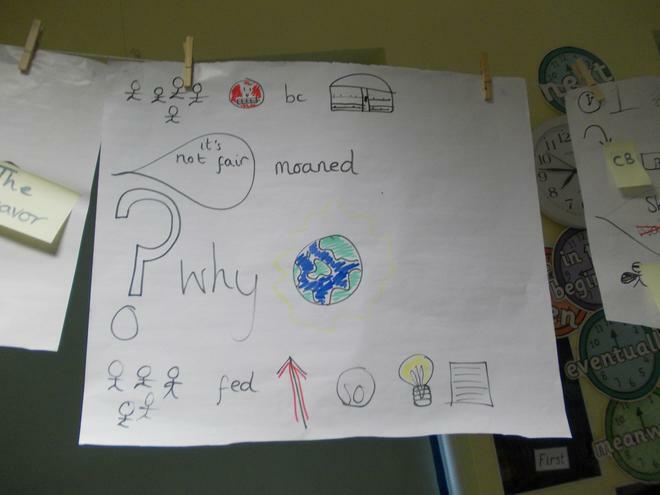 I bet your child can retell our story using the pictures to help them! 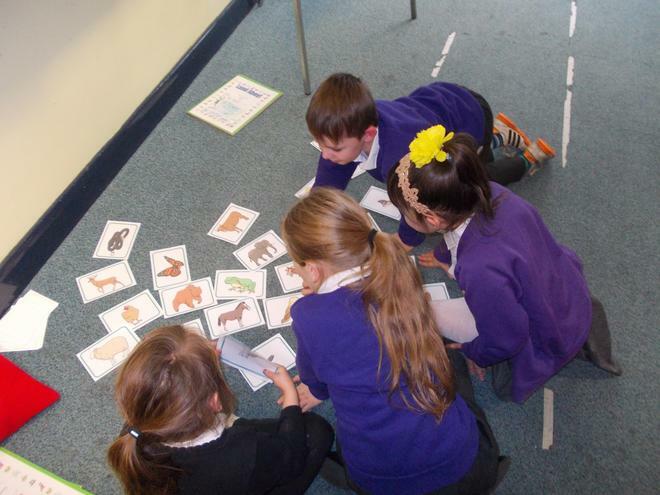 We learned about animals and their offspring in Science - some of us had to match pictures of animals to their offspring, we thought they were really cute and learnt some new animal names. Lucas found it really funny that baby goats are called 'kids'! 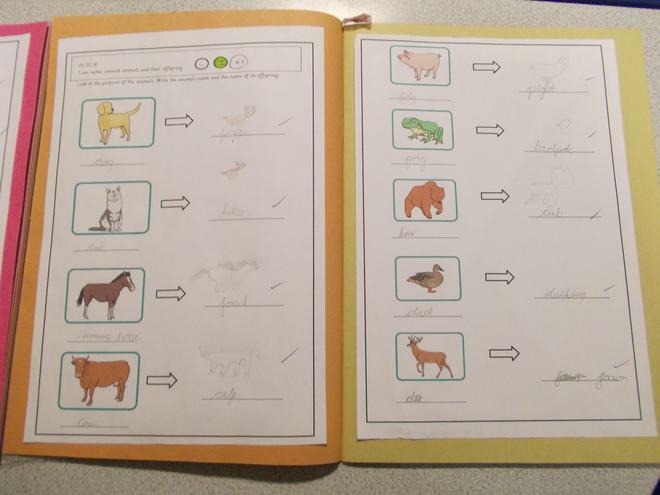 Dempcey, Demi-Lee, James and Autumn loved matching animals to their offspring. 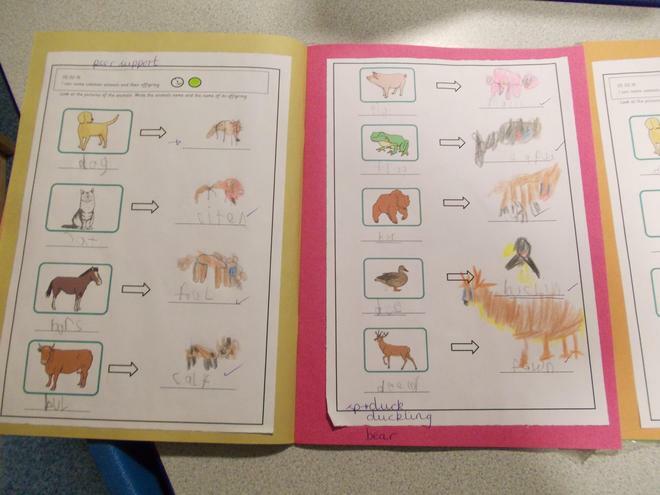 Charlie and Lauren drew some fantastic pictures of the animal babies! Next week is our final week before half term! We are going to be having a Science afternoon on Friday where we will learn even more about animals including humans and even perform some tests to see if boys or girls are the fastest runners! In class 11 we decided we would try and start a blog to keep everyone at home up to date with everything we are doing in class each week! 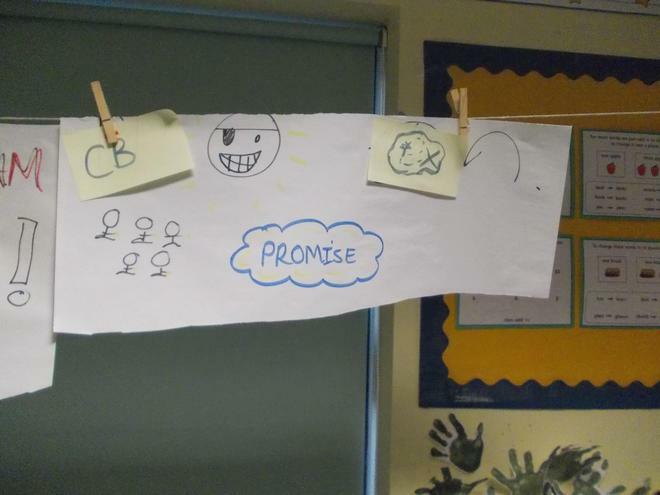 Check back here on Fridays to find out all of the brilliant things we have been up to in class and are looking forward to next week! We will post our favourite moments from the week, award winners and any other bits of news we have! 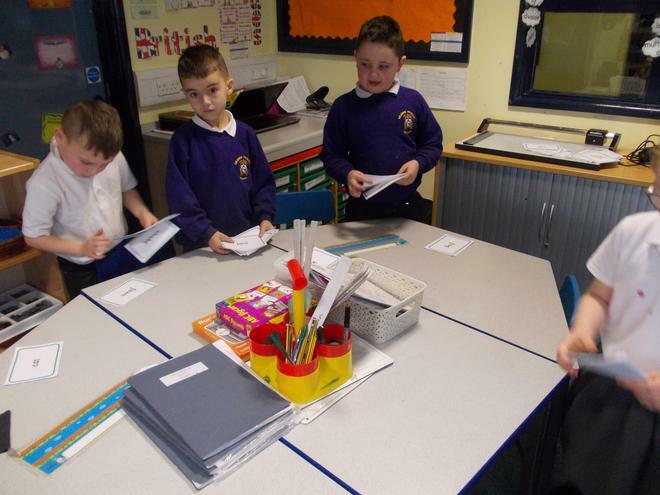 This week we have been writing instructions titled - How to find Pirate Treasure! Have you lost all your precious booty? Do you find it hard to keep track of all of your jewels and gold? Then don't worry! Our simple instructions will help you find your treasure! 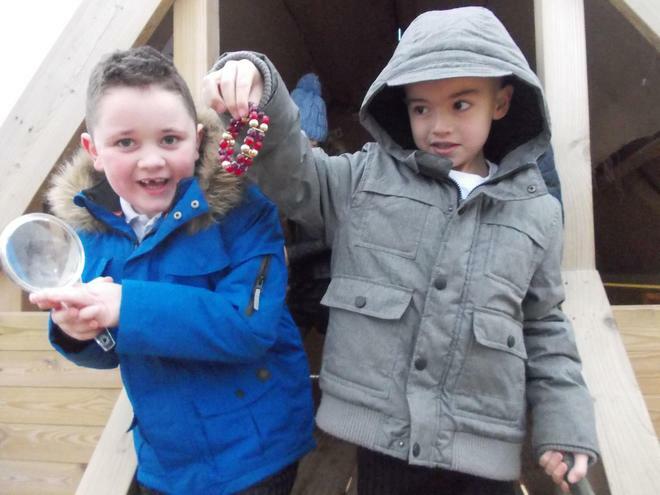 We went on our very own treasure hunt in the playground! 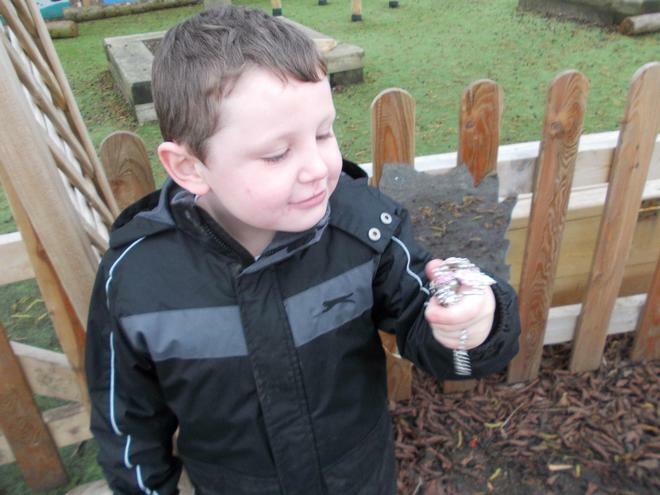 Just look at what we found! We made sure we shouted 'Ahoy!' to our shipmates when we found some. 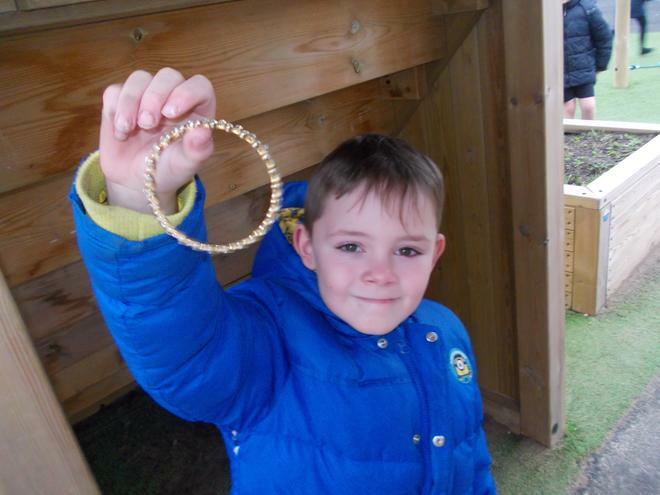 Lucas was really excited to find some precious jewels! 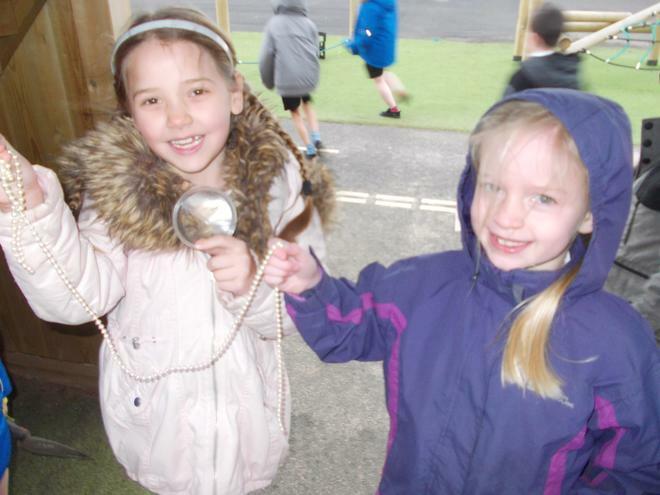 Dempcey and Lauren found some beautiful pearls! Charlie wasn't sure the jewellery he found would suit him. We hope you like our first blog! Please let Miss Davies know if there is anything you would like to see more of or if you have any feedback!